Many board games use cards for instructions or to make the game more interesting. For example, the classic game Monopoly uses Chance and Community Chest cards. If the cards on your favorite board game have worn out, or you’d like to add more cards, you can make your own replacement or original board game cards. Business card stock, available in many office supply stores, makes great board games cards, since the cards are easy to print and separate. Most business card stock has perforations or cards that snap apart, so you don’t even need scissors. Choose business card stock that works with the type of printer you have. Some business cards work only in laser or inkjet printers, while others work in both. Download a template for the business cards to use in your word processor or desktop publishing program. You can download templates from the Avery website linked below. Many of these templates also work for similar types of business card products. Set up a new document using the template in your word processor or desktop publishing program. Choose a font and font size that fits the cards well and suits the theme of board game, if possible. Type the text for each board game card in the business card document. You can copy the text of the original game if you’re making replacement cards, or make up your own. Save the board game card file. Make additional files using the same template as needed until you have enough cards for the game. Print your board game cards on the test page that came with the business card stock, if available. This allows you to check the layout before printing them on the real thing. Set up another new document using the business card template if you’d like to print the backs of the cards as well (optional). Type the name of the game in large letters, or use clip art. Make sure all the backs of all the cards are identical, unless there are several types of cards, so you can’t tell them apart during the game. Print the board game cards on the business card stock. Print the backs of the cards, if applicable. Separate the cards using the perforations or snap apart lines. You can also write the board game cards by hand, if you prefer. Business card stock still makes it easy to punch out the cards, even if you’re not using a computer and printer, but if you don’t mind larger cards, you may be able to save money by using index cards instead. 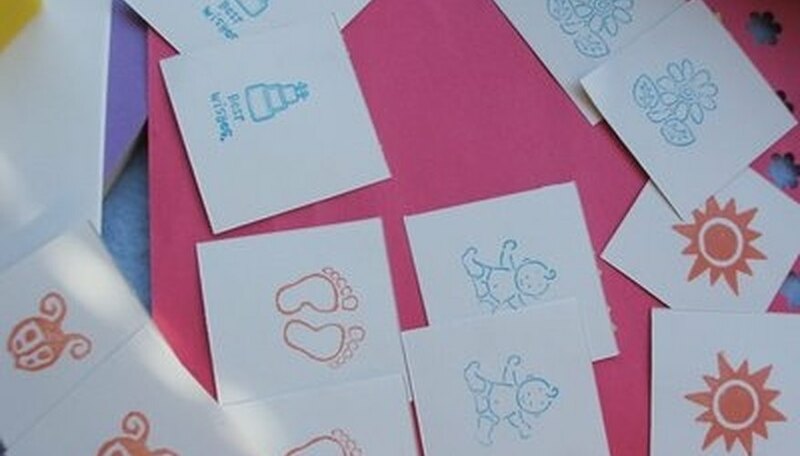 You can also decorate the hand written board game cards with stickers or rubber stamps, if you wish. Not all types of business card stock are printable on both sides. Make sure to check the manufacturer’s directions before printing. Avery has downloadable business card templates for their paper products.